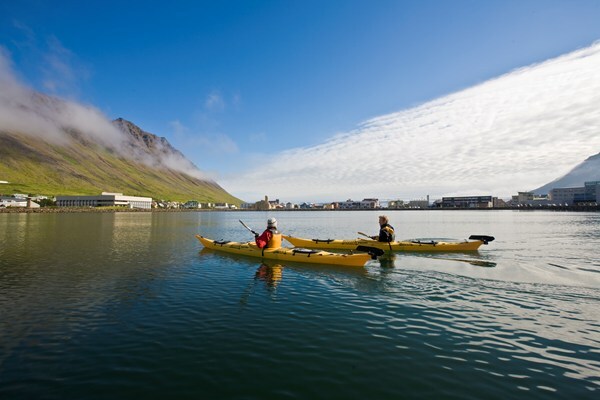 The bay of Ísafjarðardjúp offers excellent kayaking for both beginners and experienced kayakers. The serene beauty of the fjord system is well known by locals but unfamiliar to the outside world. The coast of Snæfjallaströnd really gives you the feeling that you are close to the Arctic Circle with its snow cowered hills and the fifth largest glacier in Iceland just around the corner. The Folafótur (e. Horse Leg) a small peninsula between the sheltered fjords of Seyðisfjörður and Hestfjörður, is a beautiful place to paddle around in a long day, enjoying the marine wildlife and the coastline from a unique angle. The tour starts with a 40 min car drive from Isafjordur to the head of Seyðisfjörður. 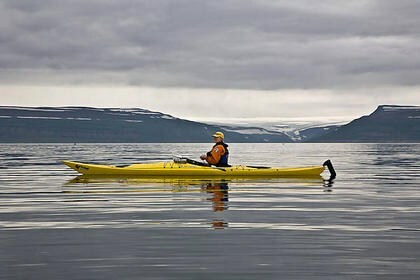 After a short introduction and safety briefing, we will prepare the kayaks and begin the kayaking portion of the trip in the calm waters along the coast. At the end of the peninsula, we make a landing on the sandy beach to see the unusual rock formations caused by erosion as well as visiting the abandoned farm houses. 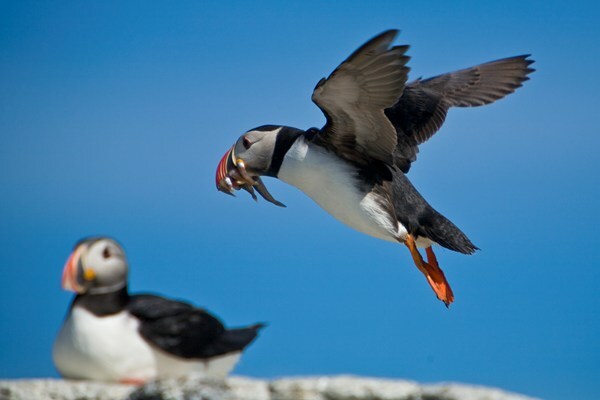 We will keep a good look out for seals, whales and white tailed eagles as this is a place where they are often seen. 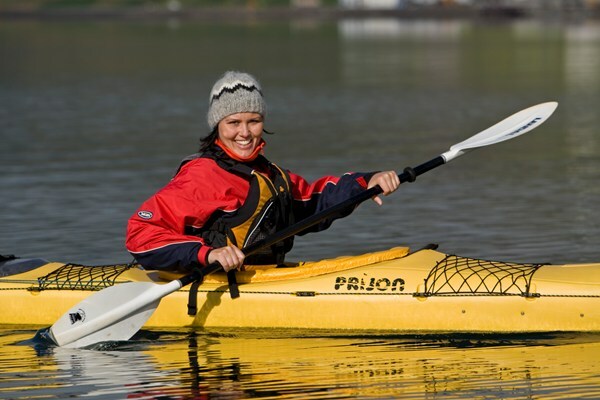 Paddling along the coast of Hestfjörður is our next mission and we make landfall close to the main road. Drive back to Ísafjörður. Guests need to be in good physical shape or have some kayaking experience. Please bring extra clothing in case you get a little wet.